New Delhi : Opposition leaders lauded Indian Air Force for successfully carrying out cross-LoC airstrikes on Tuesday morning. Nearly 200-300 terrorists have been killed in the attack on terror camps located across LoC. India's action comes as retaliation to JeM backed attack on Indian convoy in Pulwama on February 14, the terrorist attack had martyred 40 CRPF personnel. One Union Minister, Gajendra Singh Shekhawat, confirmed the airstrike on Twitter. The opposition too lauded the action by Indian Air Force. 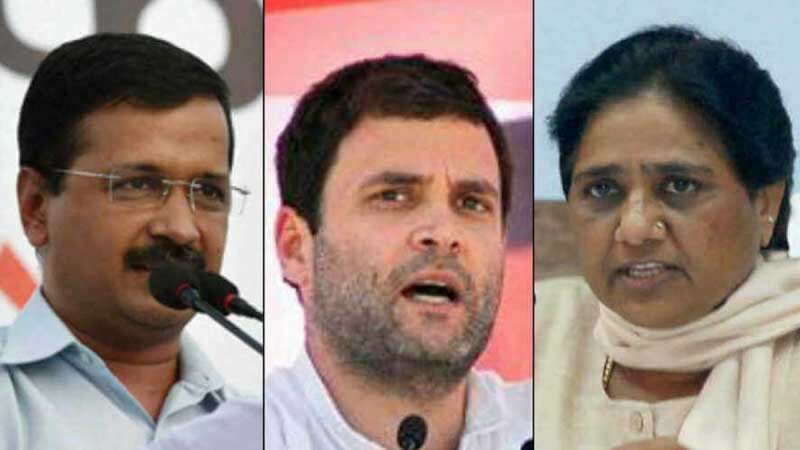 Congress leader Rahul Gandhi, party spokesperson Randeep Singh Surjewala, and Delhi Chief Minister Arvind Kejriwal all tweeted messages of praise for the IAF. West Bengal Chief Minister redefined IAF as "India's Amazing Fighters". In the cross border airstrikes, India destroyed terrorist launchpads and Jaish-e-Mohammed control rooms. India had killed the mastermind of the bombing in an encounter, gone on a diplomatic offensive to isolate Pakistan on the world stage, increased basic customs duty on Pakistani exports, and reiterated plans to stop its share of Indus water from flowing to its northwestern neighbour.